The Porsche 928 features many electronic components, but they can fail, resulting in poor engine performance and loss of power. 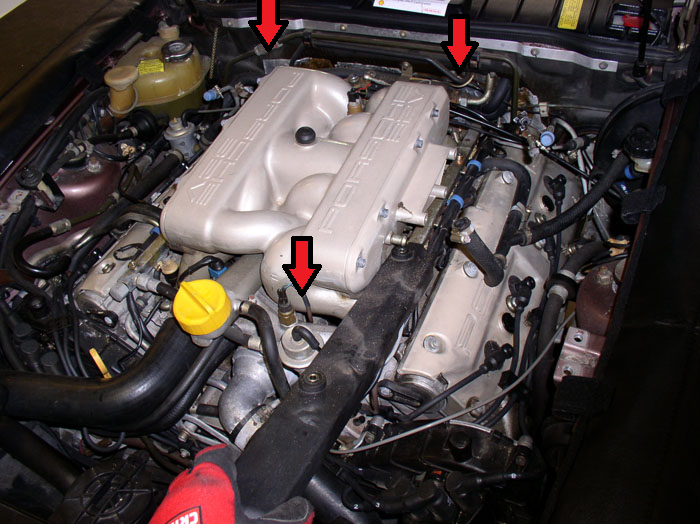 Luckily, many of these items are readily available and can get your 928 back up and running normally. The Porsche 928, with all of its electronic gadgetry and engine control devices, can experience rough running and loss of power. Many of these poor engine performance issues can often be intermittent and leave owners scratching their heads as to what the potential problem could be. There are various components that can fail, typically in the electronics or intake system, that lead to driveability issues and can even send the 928 into limp-home mode. Determining when your poor running condition occurs is half the battle and can help to diagnose the failed component. This article will give insight into the various components that affect engine power and under which driving conditions they occur. One of the first areas to inspect on the 928 when engine performance begins to suffer is the fuel filter and fuel tank. With the 928 creeping up in age and many cars having sat for extended periods of time at some point during their lives, build up in the fuel system can occur. The fuel tank can develop build-up or sediment that can clog the fuel filter and reduce fueling to the engine. While the engine may idle fine and run okay at cruising speeds, it may suffer during more aggressive driving when more fueling is required. Similarly, owners have reported poor engine performance only after filling up their fuel tanks at the gas station. 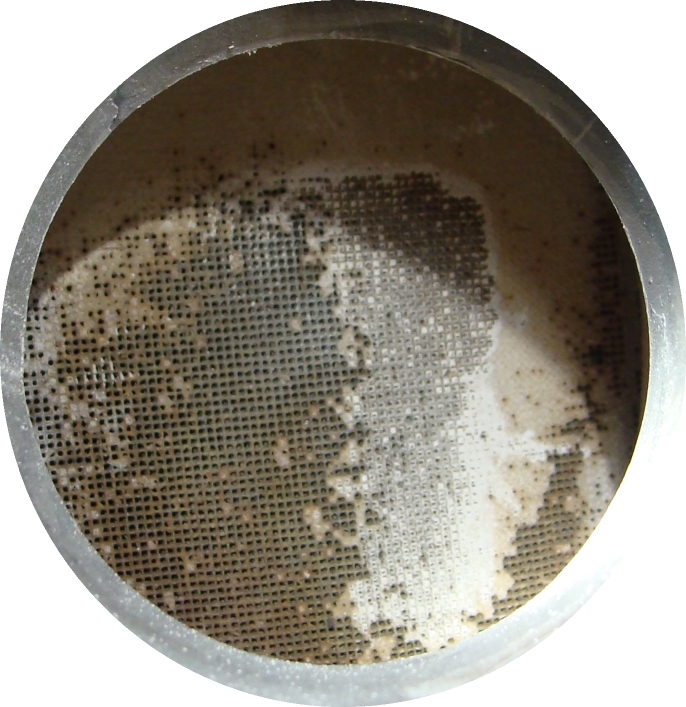 If sediment in the tank is present, fueling can stir this sediment up and reduce fuel flow until it once again settles at the bottom of the tank. 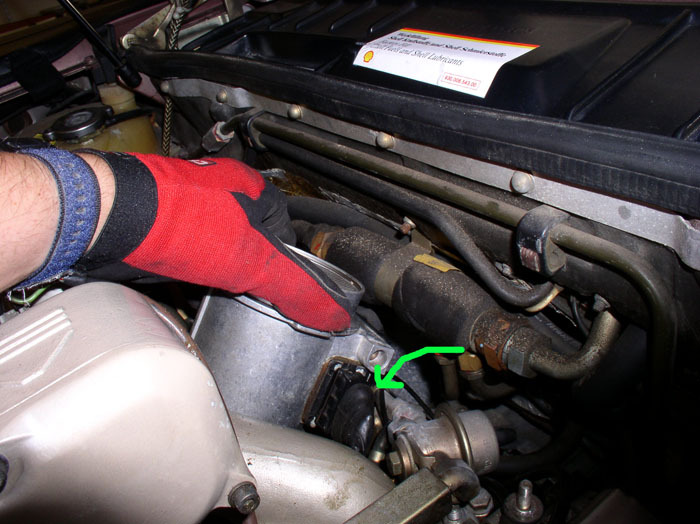 So, if your 928 is running poorly after gassing up, or it is time for fuel filter maintenance, you may be able to improve performance by keeping the fuel system clean. Figure 1. 928 fuel filter. Figure 2. 928 fuel tank removed from car. Keeping on track with fuel-related issues, the 928 fuel injection systems uses a fuel pressure regulator and fuel dampeners to control fuel flow to the injectors. The regulator and dampeners have a rubber diaphragm in them, with fuel pressure on one side of this diaphragm and vacuum on the other. The regulator regulates pressure to the fuel injectors depending on how much vacuum the engine is making. Under wide open throttle conditions, there is no vacuum on one side of the diaphragm, thus allowing more fuel to the injectors. The dampeners work in a similar fashion with fuel on one side of the diaphragm and vacuum on the other to absorb pressure waves from the bulk firing of each injector rail. It is not uncommon for a regulator or dampener to fail and dump extra fuel into the cylinders, causing extremely rich conditions and poor performance. The vacuum line can be pulled off of each dampener/regulator and inspected for fuel. If one has traces of fuel, it is bad and should be replaced. If any one is deemed bad, it is recommended to replace all the dampeners and regulator as they will typically fail near the same time. Figure 3. Fuel pressure regulator and fuel dampener locations (Lh-jetronic engine shown). Figure 4. Fuel dampener replacement. On early 928 models with K-jetronic fuel systems, poor performance and the inability for the engine to rev out can be associated with the CIS (Continuous Injection System) fuel distributor or warm up regulator. In simple terms, the fuel distributor is a control valve that separates incoming fuel to each injector. The fuel distributor has a plunger that moves up or down to regulate the amount of fuel based on air flow. 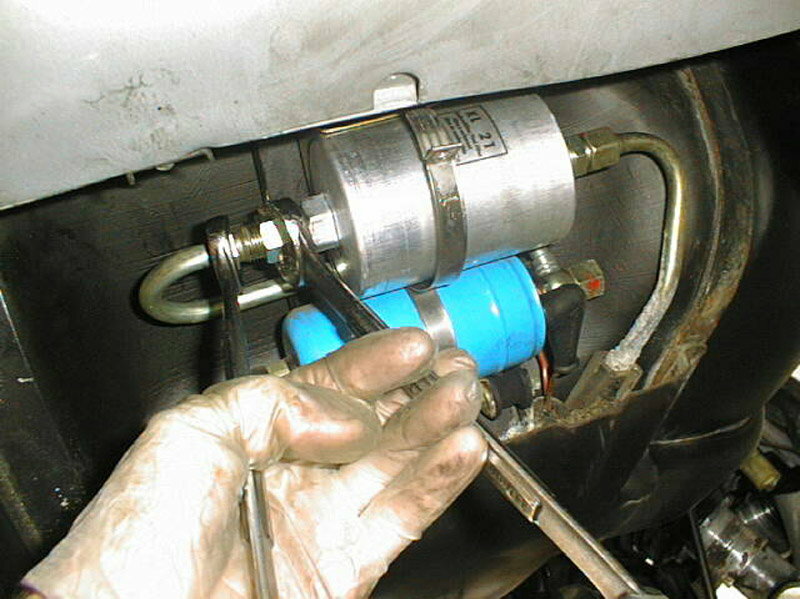 The warm-up regulator is used to move the plunger to allow more fuel when the engine is cold. This regulator is mounted on the engine and absorbs heat to determine when the engine is warm and adjust the fuel mixture. The fuel distributor has been know to become gummed up, and the plunger can stick. Similarly, the warm-up regulator can also stop functioning correctly and stick in one place. If either of these issues occur, the engine will not receive proper fueling, whether it be a rich or lean condition. Either way, performance can suffer. Some individuals have opted to rebuild the parts themselves; however, sourcing some of the smaller parts can be a bit difficult. Fortunately, companies like 928 Classics stock parts and completely rebuilt units ready for installation. Figure 5. 928 fuel distributor. Figure 6. Warm-up regulator location. 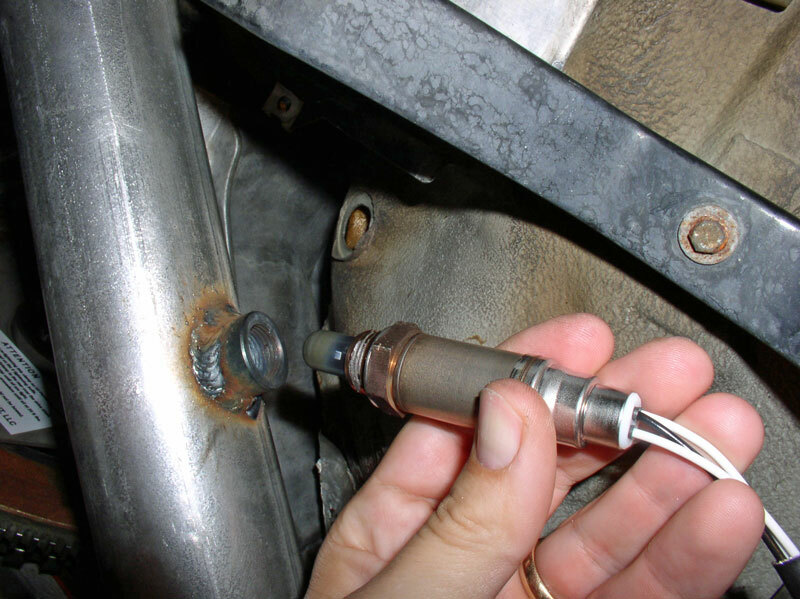 The oxygen sensor is one of the most important components of the modern fuel injection system. An oxygen sensor measures the amount of oxygen in the exhaust gases as they exit the cylinders to determine the correct air/fuel mixture. The oxygen sensor sends information to the ECU regarding whether the air/fuel mixture is too rich or too lean so adjustments to the fuel trim can be made. If an oxygen sensor becomes faulty, the engine cannot determine the correct mixture and often switches to a default map which enrichens the mixture to preserve the engine. Common problems associated with a bad oxygen sensor include irregular idle when warm or during warm-up, poor acceleration, irregular acceleration, and poor fuel economy. The replacement of the oxygen sensor is quick, easy, and often solves many driveability issues. The oxygen sensor, mass airflow sensor, and vacuum leaks are closely tied together; it is recommended you inspect all three of these components before swapping parts out. Not to be confused with the temperature sensor that works the dash gauge, the temperature II sensor informs the engine management system of the temperature of the engine. The ECU uses the sensor's reading to enrichen the fuel mixture and adjust ignition timing during cold starts. If the sensor is malfunctioning and is reading more resistance than the actual value, the ECU will think the engine is cold and continue to add more fuel, causing a rich condition and poor performance. Similarly, if the sensor fails, the ECU goes into an open-loop mode and acts as if the engine is warm. This causes problems at cold start-up. The temperature sensor II is considered a consumable maintenance item that should be replaced every few years. 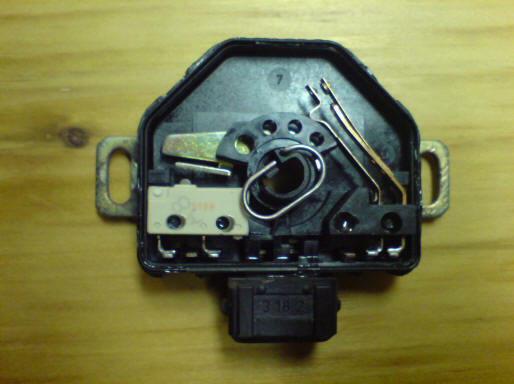 The resistance can be tested at different temperatures to determine if the sensor is faulty; however, many owners opt to replace with a new sensor as they are relatively cheap. Figure 8. Temp II sensor location. 928 models fitted with Lh-jetronic injections systems utilize a mass airflow or MAF sensor to measure the amount of air entering the engine. The MAF is located between the airbox and throttle body. It uses a very fine platinum wire that is electronically heated, but cooled by the airlfow across it. The wire is constantly heated to approximately 100 degrees Celsius above that of the incoming air. The current that heats this wire element varies with the amount of air passing through the MAF and is thus a direct measurement of the volume of air being drawn into the engine. This information is relayed back to the ECU and used in conjunction with other sensors to determine the fueling needs of the car. The thin wire on the MAF can become contaminated over time, whether from engine oil vapor or aftermarket air filter oils, and has difficulty cleaning the wire during its burn-off cycle that occurs when the engine is shut off. Similarly, the MAF wire has a natural erosion that occurs from the burn-off cycle, and they naturally age as the car is used. 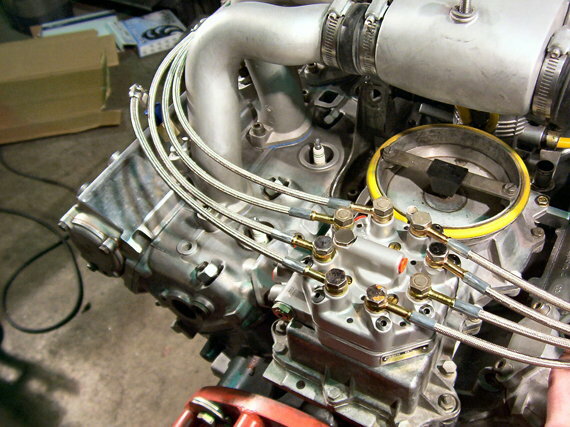 In either case, the wire becomes unable to correctly measure airflow and can negatively affect the air/fuel mixture. While there are various tests that can check the functioning of the MAF, perhaps the easiest one is to disconnect the 6-way electrical plug leading to the MAF and check engine operation. With the MAF disconnected, you can run the engine and compare performance versus the MAF being hooked up. While the car may not run perfectly, improved performance typically points to a bad MAF. It is worth noting that MAF failure is typically gradual, often starting out with slight engine hesitation and reduced performance at wide open throttle. Figure 9. MAF is located at the back of the intake, connected to the airbox. If complete MAF failure has occurred, the car will revert to a "limp-home" mode with two preset fuel injector settings (one setting for engine speeds below 2000 RPM, and one above 2000 RPM). This will allow the car to be driven home or to a workshop for repairs, but will run poorly. It is not recommended to drive the car for an extended period of time in limp-home mode. 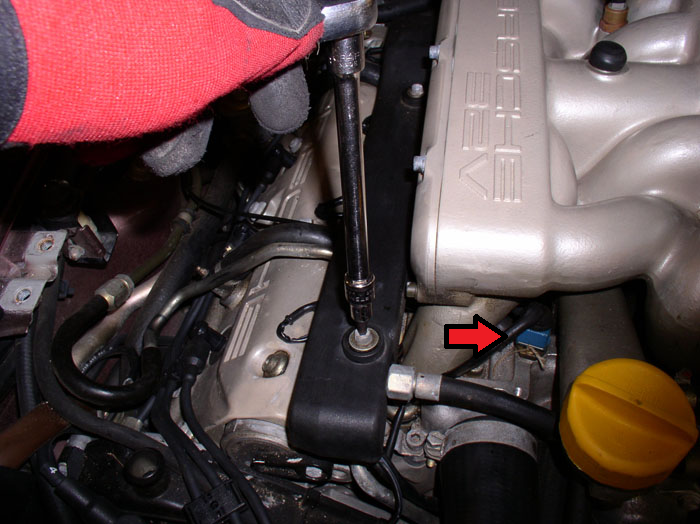 The 928 utilizes a throttle position switch (TPS) to make fueling and ignition timing adjustment based on throttle input. The TPS has a setting for idle and a setting for wide-open throttle which is only activated at about 3/4 throttle input. The TPS is a very common failure on 928's and can cause various poor running conditions. If it is stuck in the idle position, the ECU cannot make the necessary adjustments when additional fueling is requested. Similarly, if stuck in the wide-open throttle position, the engine can run very rich under normal driving circumstances. Before assuming the TPS has failed, check that the throttle cable assembly and cable adjustments are correctly set, otherwise the switches may not be making contact inside the TPS. Additionally, resistance can be tested at the ECU to determine if the switch is functioning correctly in various positions. Figure 11. Inner workings of TPS. A required component of any modern engine, the catalytic converter cleans up exhaust emissions before they exit the car. The core of the catalytic converter is typically made of a ceramic material shaped into a honeycomb structure. If the engine has run in a poor state of tune or excessively rich for a period of time, this honeycomb material can plug up and cause excessive back-pressure in the exhaust system. The result is usually an engine that will not rev freely and have reduced power. 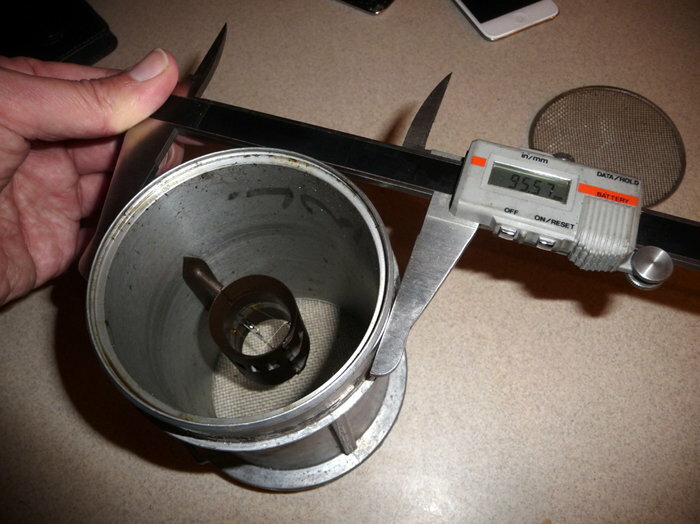 A plugged or melted catalytic converter can be tested by measuring vacuum at the intake manifold with a common vacuum gauge. 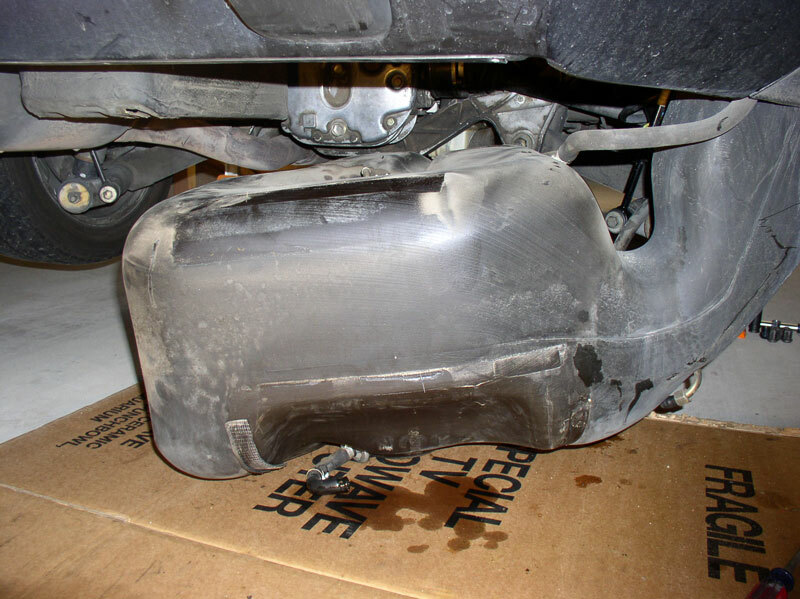 Many owners have cured their poor performance and loss of power issues by replacing their plugged catalytic converter. Figure 12. Cross section of partially plugged catalytic converter. If using a vacuum gauge connected to the intake manifold to test the flow of the catalytic converter, simply blip the throttle and hold at 3,000 RPM. On a free-flowing catalytic converter, vacuum will temporarily drop before climbing to a higher number. Conversely, if the catalytic converter is plugged, vacuum will steadily begin to drop instead. 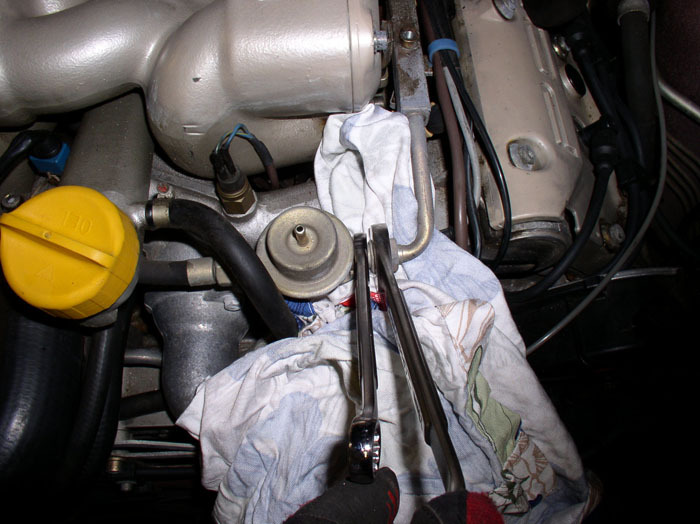 An often overlooked area of any engine is the presence of vacuum leaks. While small leaks typically only affect the engine at idle, larger vacuum leaks can have a dramatic effect on engine performance across the board. Vacuum leaks affect the air/fuel ratio because the engine is sucking in air that is not being measured by the MAF. With a vacuum leak, you may experience a hesitation when accelerating or poor fuel economy. Vacuum leaks can sometimes be found by using an automotive stethoscope or a length of small hose as a listening device. With the engine running, place one end of the hose in your ear and move the other end around various hoses and vacuum fittings. A loud hissing noise will indicate a leak and should be corrected. A quality work shop will often use a smoke test machine to search for vacuum leaks. In any case, it is a good idea to check for vacuum leaks as the 928 has a good number of vacuum lines on and under the intake manifold. Often times, this can be a free and easy fix. Figure 13. Smoke testing for vacuum leaks. Porsche 993: Why is My Car Hesitating? 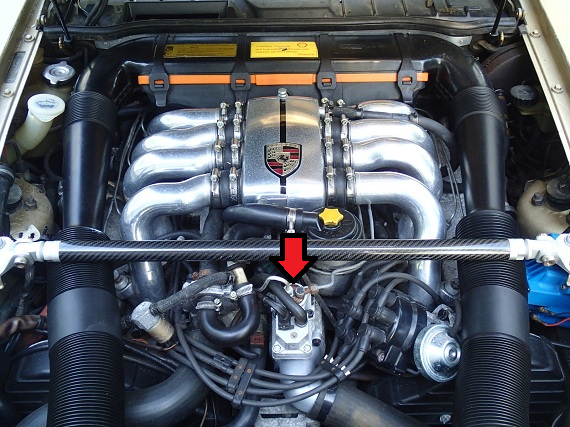 Porsche 993: Why is My Car Idling Rough?